You didn’t arrive to GetDucks.com by accident. You are here because you are a serious duck hunter. You want the hunt of a lifetime. And you know that it’s always duck season…somewhere. You’ve come to the right place. 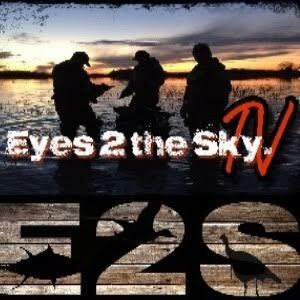 We specialize in worldwide waterfowl hunting and wingshooting. It’s not only what we do – it’s all we do. We don’t sidetrack ourselves with big game and fishing. We’ve personally hunted each destination many times. Here at GetDucks.com, we make waterfowling dreams a reality. With expert guided hunts to the best destinations at the best times for the best hunting experiences. Every time. GetDucks.com’s guest services are uniquely personal. From the time you reserve dates until you’re safely back home telling friends about bird-filled skies like you’ve never seen before, we’ll be right there with you – first as your duck hunting concierge, and later, as friends. But don’t just take our word for it, here are literally hundreds of reasons to entrust GetDucks.com with your next duck hunting adventure. 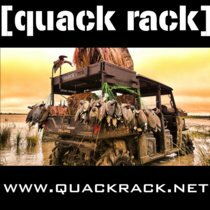 Visit our About Us and GetDucks.com Press Room for more information about who we are and what we do. 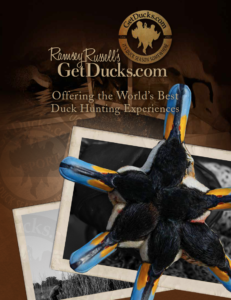 Explore the rest of Ramsey Russell’s GetDucks.com to find the perfect waterfowling travel package. Want to receive a new GetDucks.com Brochure? 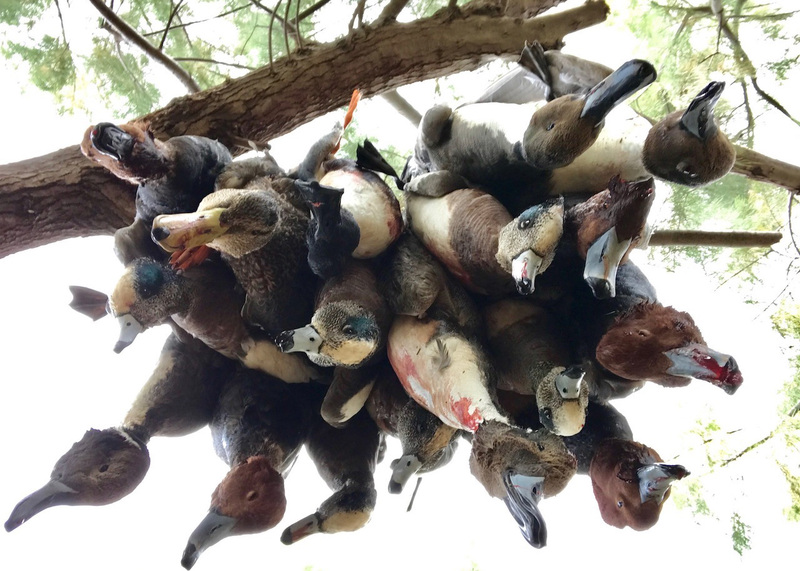 The new 24-page, full-color GetDucks.com brochure is loaded with photography from the world’s best duck hunting adventures, to include trip summaries, available bird species, and testimonial reviews. View Full-color brochure online: Ramsey Russell’s GetDucks.com 2019 – Offering the World’s Best Duck Hunting Experiences (hi res PDF). Contact us to receive a hi-res printed copy. You didn’t arrive at GetDucks.com by accident. You are here because you are a serious duck hunter. You want the hunt of a lifetime. And you know that it’s always duck season…somewhere. You’ve come to the right place. 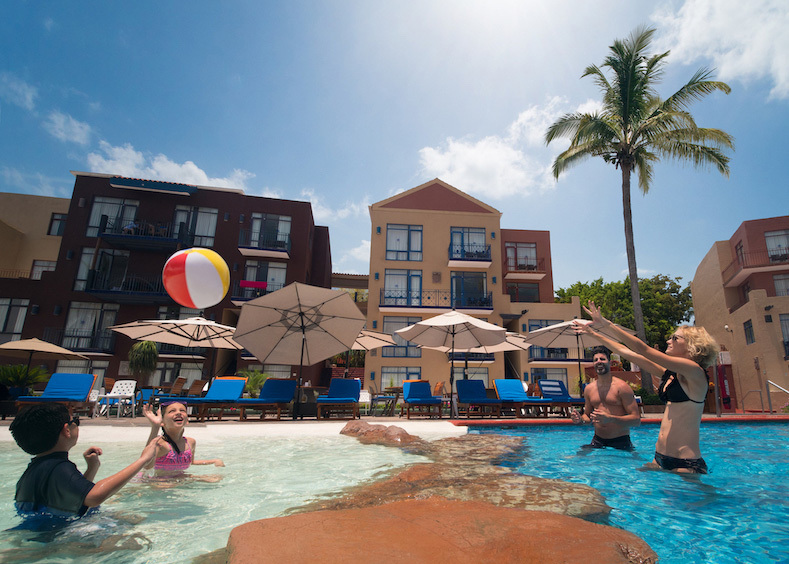 It’s not just what we do – it’s all we do. Best Alaska King Eider Hunt available. Period. Delivered 100% success on trophy kings for each of the past 7 years. Our team is available at all times before, during and after your hunt to ensure the smoothest possible travel because this is a trip to remote Alaska in January, to to Arkansas! In addition to king eiders, guests should expect to target long-tailed ducks and harlequins. White-winged scoters are possible. Pacific common eiders are rarely taken. 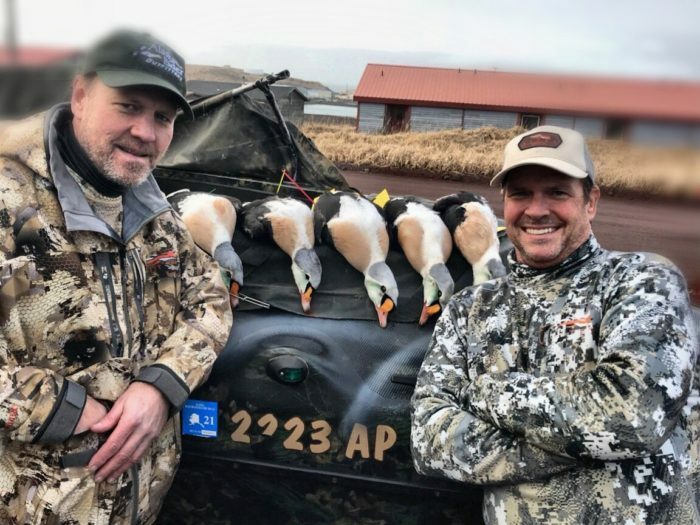 Alaska king eider hunt is the trip of a lifetime for the pinnacle of North American waterfowl trophies. Now booking 2020 (limited) and 2021 dates. AZERBAIJAN DUCK HUNT Azerbaijan duck hunting offers real duck hunting adventure for several unique Eurasian species to included red-crested pochards and more. Duck hunting Azerbaijan is an incredible, deep-in-the-grass adventure in a remote, overlooked corner of the world. Huge wetlands overwinter very many waterfowl to include a diversity of unique Eurasian species such as red-crested pochards and more Eurasian wigeons than you’ve ever imagined. 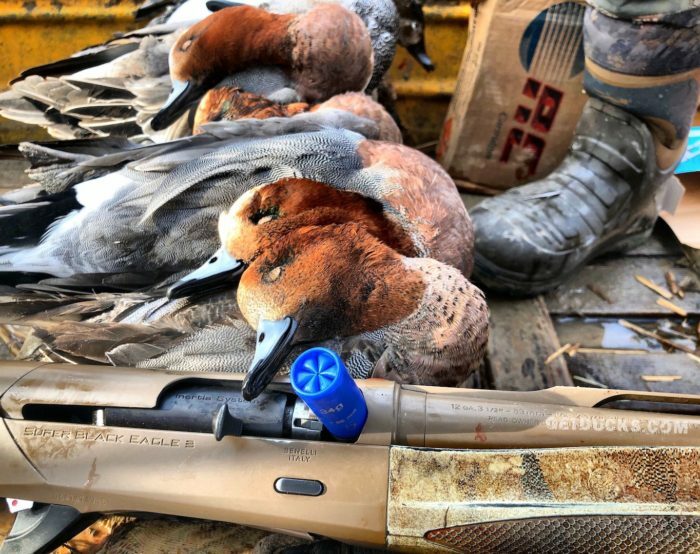 Introduced in 2018, duck hunting Azerbaijan is a rare experience like none other and is available exclusively through Ramsey Russell’s GetDucks.com. Mexico duck and dove hunt designed specifically for private groups of 4-8 to be lodged exclusively among themselves. 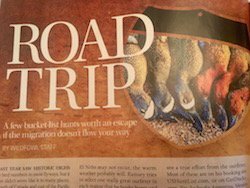 This all-inclusive, 4-night, 3-day (6 hunts) package features pothole decoying ducks during the morning and fast-action grain-field doves during the afternoons. Guests return to well-appointed hacienda between hunts for lunch and a well-deserved siesta. Peak hunts dates are January through February. Species include northern pintail, American wigeon, Mexican ducks (aka Mexican mallards), green-winged teal, blue-winged teal, cinnamon teal and more. Welcome to the FUN side of the border! 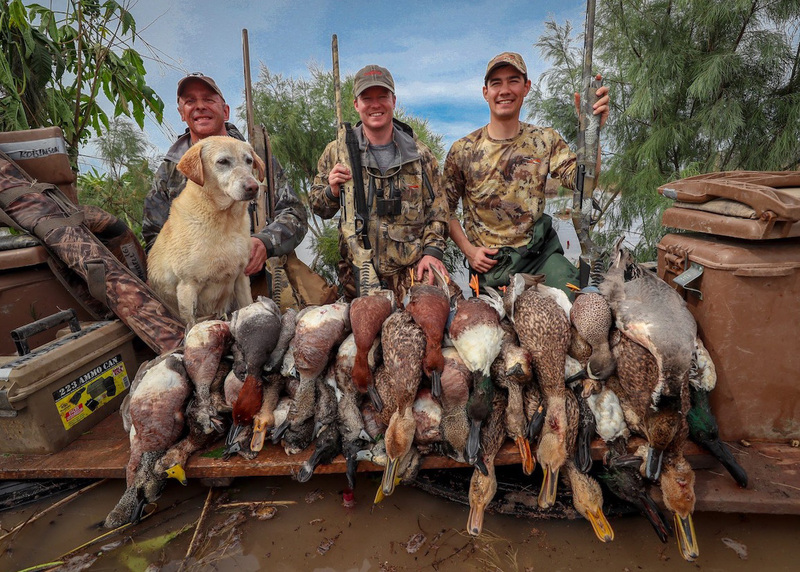 With over 30 years of duck hunting experience Mexico’s west coast, the staff is utmost professional, knowledgeable, delivering the best duck hunting vacation imaginable. Generous limits to include the teal trifecta and more. But pack the flip flops, sunscreen, and grab your squeeze – we don’t call this a “honeymoon duck hunt” without good reason – hunters return to the resort by noon, spending plenty quality with our better halves for the day’s remainder. Non-hunting spouses LOVE IT! Just show her the photo gallery! AUSTRALIA DUCK HUNTING Latest-greatest duck hunt in the world to include flooded timber hunting for Pacific black ducks and hunting for other unique species found nowhere else on earth. Australia Duck Hunting is a continuation of unchartered waterfowling adventures provided exclusively by GetDucks.com, and like many of our other off-the-beaten-path destinations, duck hunting in Australia provides an immersive experience for only 1-3 guests per session in a laid back, highly-interpersonal atmosphere – guide-staff comfortably feels more like falling in among long-lost friends than staying in a bustling hotel. 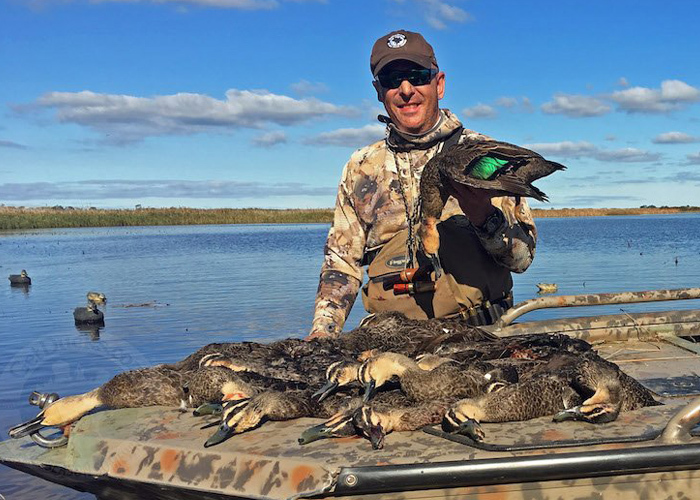 A fun “run-and-gun” itinerary allows guests to experience the maximum number of habitats and to shoot the maximum diversity of waterfowl species available. Our #1 hunt and for very good reason – GetDucks.com’s All-inclusive package includes everything but ammo! 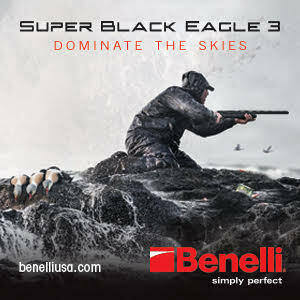 As featured on World of Beretta and in Wildfowl Magazine. Liberal bag limits for ducks to include Cinnamon Teal, Mexican Mallard, much more! Add fast-paced white-winged dove hunting, rod-bending lunker largemouth bass fishing, Pacific brant hunting (limited) or Elegant Quail and Gambel’s Quail shooting for a super combo. Peaks in January-February. This hunts book out quickly each year. Limited 2020 availability. Now accepting 2021 reservations. Our brand of Argentina duck hunting favors exceptional hunting above all else. Not all Argentina ducks hunts are equal – after 17 years of exploring, these have proven to be very best. Period. Our outfitters are utterly committed to high-quality wingshooting in a friendly, authentic environment. Forget over-priced transfer fees and other frivolous add-ons. Save your money for things that really matter – mas cartuchos! Choose ducks, more ducks, or duck combos. 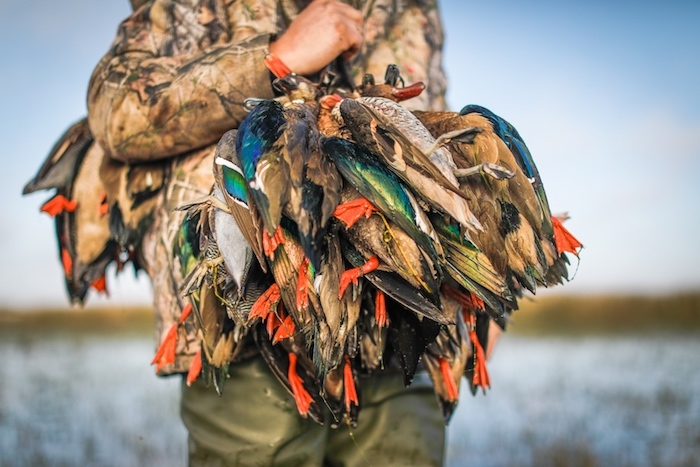 After more than a decade of specializing in duck hunting trips, we’ve amassed the perfect collection of real Argentina duck hunting trips for true hunters. As genuine American duck hunters ourselves, we know real duck hunting. There’s no place like home. 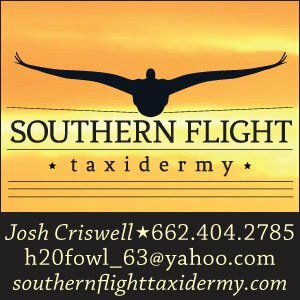 As a convenience to the many hunters that rely on GetDucks.com’s trusted referral, we’ve developed the US Hunt List™ where domestic trips are booked directly with our exclusive outfitter affiliates. These folks deliver. Get your barrel hot experiencing everything from decoying mallards to spring snow geese, sandhill cranes to tundra swans, sea ducks, brant and much more. From affordable to upscale packages, the US Hunt List™ makes it easy to find and confidently book your next US hunting trip directly with a reputable outfitter. THE HUNT OF A LIFETIME IS WITHIN YOUR GRASP. Whether you’re a first-timer, a once-in-a-life-timer, or an every year traveler, great wingshooting trips are just a few hours travel away. Of course, the hunt of a lifetime is a tall order – it takes far more than stackwood piles of dead birds to achieve such a lofty ideal. That’s why GetDucks.com hunts feature not only high-quality shooting but everything in its necessary context. The food, the atmosphere, the service, the effort, the people and the places for which this wonderful tradition of ours is revered. GetDucks.com brings it to you in the most proficient manner possible. Our professional diligence produces deeper satisfaction, richer travel experiences and undistracted, best-of-the-best hunting. You deserve nothing less. That is our guarantee to you and that is what foremost distinguishes our GetDucks.com brand from the rest.